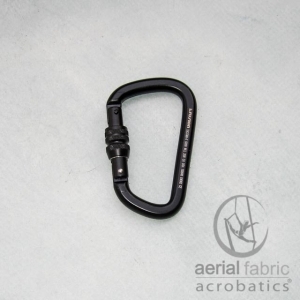 Bungee Belt has front adjustment and leg adjustments. 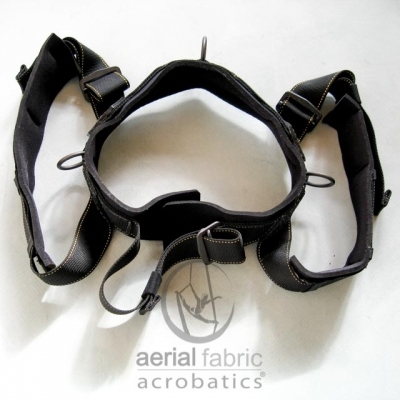 Three reinforced attachment points. Slim fit and great leg loop angle distributes the weight across the hip area in front and back for a balanced body position. The belt is hand-crafted in the USA not manufactured through a machine process giving more strength. The craftsmanship on this belt is superb. Slim fit and great leg loop angle distributes the weight across the hip area in front and back for a balanced body position. The belt is hand-crafted not manufactured through a machine process giving more strength. Adjustments on the front allow for a snug not overly tight fit. Leg loop adjusters are on the back for comfort. We love how this belt balances the weight distribution through the whole hip area if properly worn. We have tested several less expensive belts and prototypes over the past couple of months and we think you will agree this is the best belt! 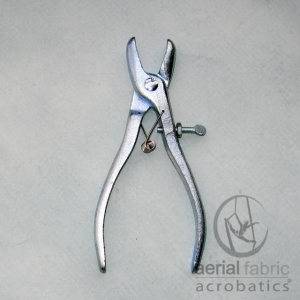 There are 2 hip points and one back point with round metal rings with reinforced stitching. 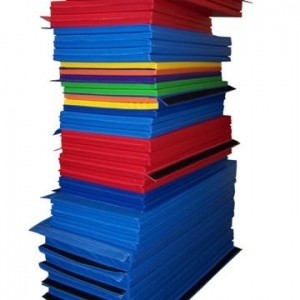 The padding is comfortable not bulky. 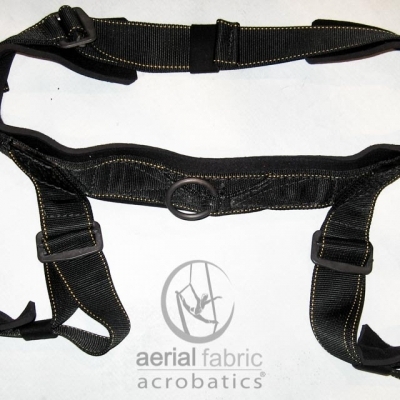 Bungee Belts are adjustable to fit measurement 6 inches below navel. We recommend that you measure 6 inches below the navel where the belt will be worn, not too low on the hips, not too high into the waist area. The belt gives the versatility for use for more acrobatic moves by mounting the bungee cords on each hip. 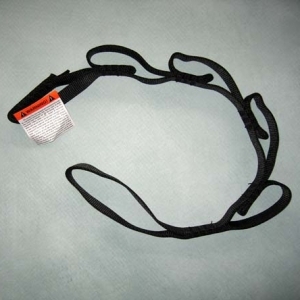 We recommend using this belt rather than a rappelling harness worn backwards as seen on some videos.